Quality Assurance, Environmental, Health and Safety Department guarantees that the quality management system of EKUK operates according to the requirements of standards EN-ISO 9001, EN-ISO 14001, EN-ISO/IEC 17025, EN 45011 and EN-ISO/IEC 17020. 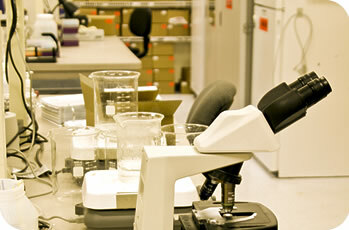 The EKUK labs have mostly introduced test methods based on international or national standards. Analysis result reliability is guaranteed by continuous internal checking and participation in international comparative testing (Calitax, WMO, Aquachek, IIS, IRMM, MUVA Kempten, SETOC, FAM, SYKE, FAPAS etc). As the reference lab for waste water testing, the department sets up comparative testing for labs to ensure quality and reliability of lab tests. Quality Assurance, Environmental, Health and Safety Department sets up training for water samplers, co-ordinating training programs with water sampling evaluation committee acting at the Ministry of Environment. The department also certifies liquid fuels and halons. For conformity assessment analyses are ordered from EKUK labs that use accredited methods. Monitoring of ambient air, emission gases, ozone depleting substances and fluorinated greenhouse gases is carried out according to Ambient Air Protection Act and associated regulations.